What do Apple CEO Steve Jobs, comedian Chris Rock, prize-winning architect Frank Gehry, the story developers at Pixar films, and the Army Chief of Strategic Plans all have in common? 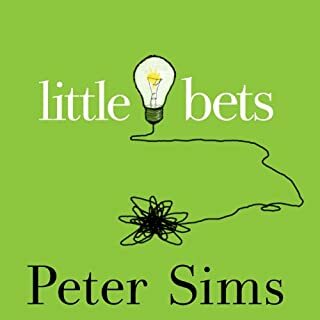 Best-selling author Peter Sims found that all of them have achieved breakthrough results by methodically taking small, experimental steps in order to discover and develop new ideas. In this eye-opening account, Cal Newport debunks the long-held belief that "follow your passion" is good advice. Not only is the cliché flawed - pre-existing passions are rare and have little to do with how most people end up loving their work - but it can also be dangerous, leading to anxiety and chronic job hopping. 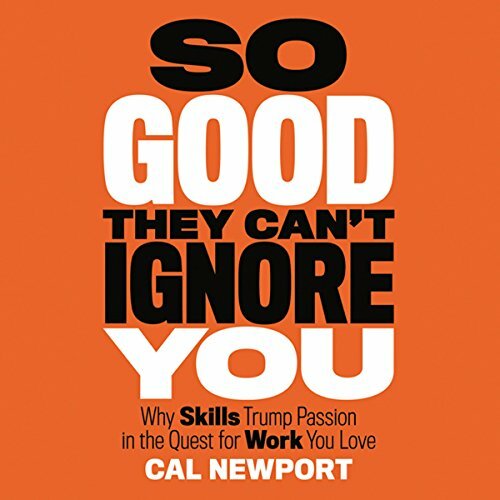 With a title taken from the comedian Steve Martin, who once said his advice for aspiring entertainers was to "be so good they can't ignore you", Cal Newport's clearly written manifesto is mandatory listening for anyone fretting about what to do with their life, or frustrated by their current job situation and eager to find a fresh new way to take control of their livelihood. He provides an evidence-based blueprint for creating work you love. I often listen to books in the business/ career genre, and have long been troubled by the fact that I really had no idea how to change the downtime activities I enjoyed into my career. I really don't know how to transition from video games and reading sci-fi/fantasy fiction into a sustainable career, and I wasn't sure if I even wanted to try. This book made me realize that maybe I don't have to. I felt as though the book was a little slow getting into it, but in the end I am glad that I listened to the full book. I really enjoyed that each point he made was tied to a real person interviewed by the author, it made it easier to implement the information in the book. 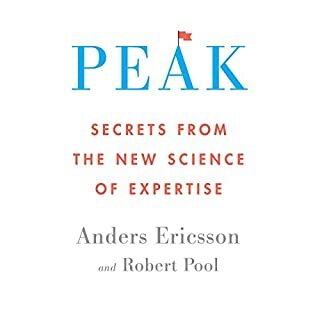 The book's conclusion, in which the author describes the application of his findings in his own life, gave me a lot of ideas about how to improve my own work. 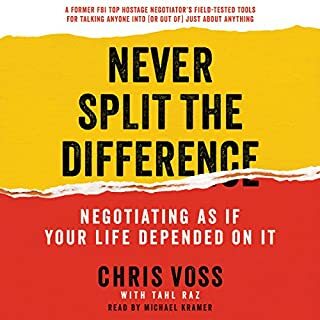 If you have been told by someone that you won't be happy at work unless you "find your passion" and have been discouraged by such mantras, you will enjoy this book. And you won't continue to feel like an un-passionate weirdo in this passion-oriented culture. The book makes one main point - become a craftsman, providing a product or service that offers value to the world. This is the secret to finding meaningful work, not following your passion. The research and stories support this one point. The author gives many examples of famous people who didn't have a clear vision of what they wanted to do for a living. They built up their skills and continued exploring different options. Sometimes by luck or sheer determination or both, they ended up successful after many years of hard work. #1: Don't follow your passion. #2: Be so good they can't ignore you (build skills). Although there are four rules, it still boils down to becoming a craftsman - having a set of rare and valuable skills (what the author refers to as career capital). With that, you can move up the career ladder and ask for more control over what you do and how you do it. And with more control, you can invest your career capital into a mission (doing something you find meaningful). This audio delivers on its title. He argues against following your passion to find the ideal job and instead believes that passion comes after you already become excellent at something. Very easy to follow and I like how he ties ideas from many other contemporary authors into his work. I was surprised by how young the author is. Highly recommended for anyone who is planning their career. A few good summaries of the audio. Absolutely glad I ignored some reviewers. I do take note of fellow reviewers' input to make buy decisions. But something made me override their advice this time. I've now listened twice, beginning to end. And certain parts three or four times in quick succession. It will be more in the future. I've decided on this re-listening strategy to get the muck out of my mind, planted by passion preachers. I, however, take full responsibility for following that message. Cal reminded me of my success method of the past. A method I did not name, or put the required weight on, or thought about, it was just done - deliberately. But it sadly was forgotten, droned out by passion evangelists. Thank you for writing this book. It helped me GREATLY! Narration never bothers me. I always have a little chuckle when reading reviews on narrators. I'm just glad someone exerted the effort, saving me the time. The background to that statement: I used to buy computer voices to read text for me. Obviously that was before I discovered Audible. I took a chance buying this since it is a new book with few reviews. It is a refreshing break from the "passion" based literature that is popular now. It teaches what has become uncommon sense these days - you get out of life what you put into it. Its backed by some research and good anecdotes, and gives needed perspective if you start thinking that you have to "find your calling". Few people find it without investing time, effort, an open mind, and patience, first. Saying that, I still find lots of motivating and helpful ideas in the passion based approach, so its not all black and white to me, but still this book adds a refreshing perspective. The book title is a little misleading. It should have been called "Triangulate" or "You're not there yet". 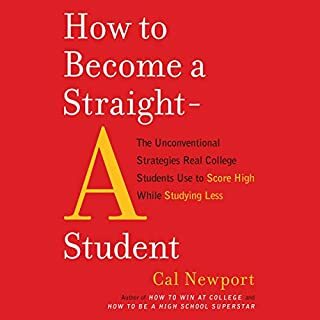 What was most disappointing about Cal Newport’s story? The book isn't really about becoming really good at something. It's about finding work in life that is satisfying and remarkable, and that is done by working at things that interest you until you land that dream job. 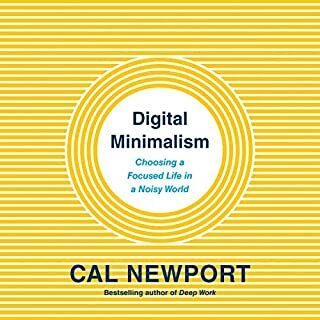 Cal claims he debunks the idea to 'follow your passion', but in my mind he fails to because all of the people mentioned in the book followed their interests and passions and tried various things to get to their life's work or calling in life. What about Dave Mallow’s performance did you like? The perfect voice for this book and his reading was flawless. Was So Good They Can't Ignore You worth the listening time? Not for me. After listening to it I felt I didn't learn a single thing. But then again, I'm 42 and likely not his target audience. The advice to 'follow your passion' has not been debunked by Cal's book, rather, he just injected more realism and substance to it. Incredible message that I won't forget. Glad I read it. Parts of the book dragged on. Some topics were overly discussed. The concept of Career Control is enlightening. hands down the best career advice book I've read the last 8years. if your like me, educated but totally confused abt your next step;afraid of missing out on life and are tired of finding your career passion, this is the book. i swear it has made me work harder and less depressed abt my job. mr.newport; thank you for shearing this with us. Unlike most "self-help" type books, this one doesn't keep hammering home the same point that could have been summarized in one chapter. The points are valid and the examples feel real! This is hands-down the best book I've ever read about how to develop your talents and find/create work you love. I only wish I'd come across this earlier in my life! There's so much in here that it's difficult to summarise. The best thing you could do right now is to stop reading reviews and just buy it. Seriously. Such a simple but brilliant lesson. Ideal for those seeking passion, direction or just a boost. Really enjoyable read with some fascinating theories. 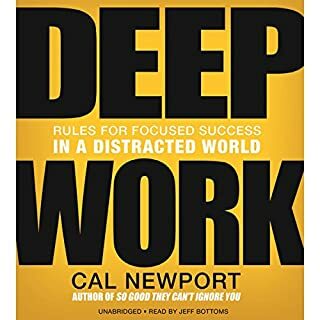 Having listened to Deep Work by the same author I was very happy learning about the stories and ideas set out in this audio book. A really interesting way to look at career growth and expertise. I'm so glad I got this as the 'follow your passion' hasn't always resonated and I'm still experimenting in my thirties. Delivery is very clear and matter of fact.